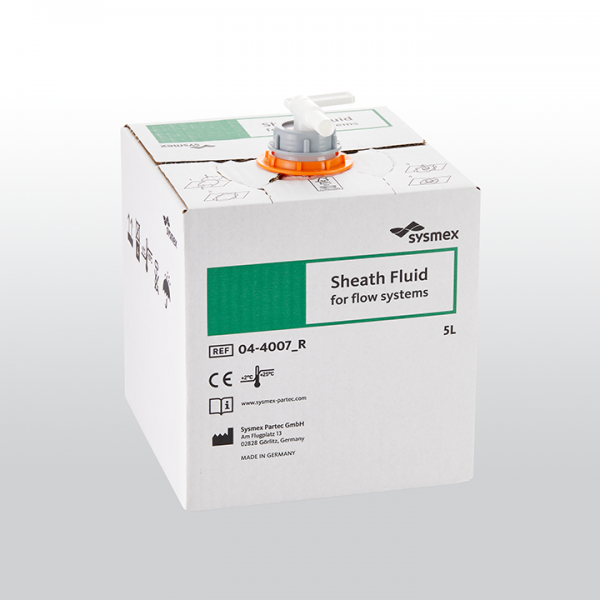 Sheath Fluid is an aqueous solution ensuring that the sample introduced to the flow cytometer will run under hydrodynamic focusing. The principles of hydrodynamic focusing cause the cells to align, single file in the direction of flow: sheath fluid permits the system to run under controlled conditions with particles passing through the flow cell in order. Refer to the instrument’s operator manual describing the need and use of the Sheath Fluid.